The North Carolina man killed by a state trooper last week was “afraid” of police because of previous misunderstandings due to his deafness, his brother said. Daniel Harris was shot and killed outside his home in Charlotte, North Carolina last week. State Trooper Jermaine Saunders said he chased Harris for 10 miles after attempting to pull him over for speeding on Interstate 485. Harris, who was deaf, could not hear the siren – or the trooper’s commands – and was attempting to communicate in sign language when Saunders shot him. 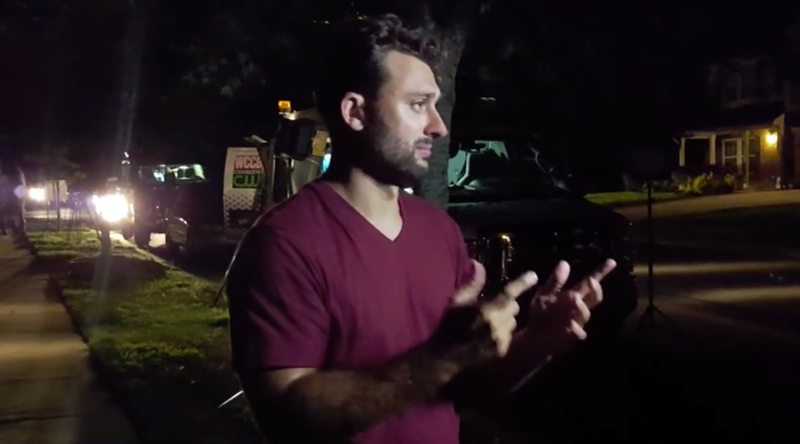 “[My brother] had times where, because of inaccessibility, there were misunderstandings that led to him being afraid of the police,” Sam Harris said Wednesday, speaking to reporters outside his family home through a sign language interpreter. Standing next to a makeshift shrine to his brother, including a sign that read “Police Brutality Domestic Terrorism”surrounded by flowers, Harris accused the police of being unable to communicate with the deaf community, often leading to violent confrontations. Harris said he too ended up with a gun in his face once, after being unable to follow orders the police officer was shouting – but walked away when a reporter pressed him for details, according to the New York Daily News. After the candlelight vigil on Monday, Sam Harris had referred to his own traffic stop that almost ended in a tragedy. “I [was] pulled over and within a few seconds, the officer is at my window with his weapon drawn and in my face. I motioned to him, I’m deaf, I’m deaf!” he said in sign language, according to USA Today. “You don’t see deafness the way you see race, and what we need to change is the system,” he said, adding that the grieving family stood with other “oppressed” minorities in demands for justice and police reform. North Carolina officials have not revealed any details about the August 18 shooting. Secretary Frank Perry of the state Department of Public Safety urged people to “refrain from making assumptions or drawing conclusions prior to the internal and independent reviews” in a press release Wednesday morning. Former Chief Deputy US Marshal Matthew Fogg told RT America that if the trooper felt threatened by a person, he might shoot, but it’s unclear why he had to use lethal force in this case. 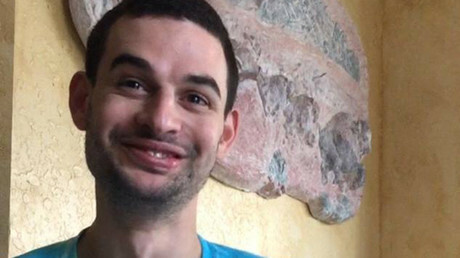 The family is raising money for Daniel’s funeral, but Sam Harris pledged that any extra funds will go towards establishing a foundation that would teach police how to interact with the deaf.